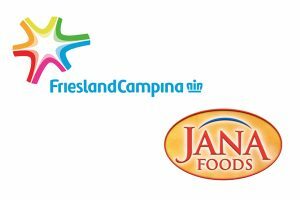 The company’s key brands – Cathedral City, Clover, Country Life and Frylight – all delivered strong volume and revenue growth for the third quarter ended 31 December 2018. Combined, the four brands generated revenue growth of around 10% for the third quarter and 6% for the nine months ended 31 December 2018. Cathedral City was particularly strong in the third quarter, with both volume and revenue growing by around 10%. This was helped by new product launches including flavoured snack bars, a Lactose Free variant and a refreshed kids’ snacking range. Dairy Crest’s spreads brands continued to gain market share. Clover Light with no artificial ingredients was launched in August 2018 and was voted ‘Product of the Year’ in the UK spreads category in a consumer survey for product innovation. Demand for Dairy Crest’s functional ingredients – demineralised whey powder and galacto-oligosaccharides (GOS) – continued to increase. In January 2019, daily Promovita GOS ‘shots’ for consumers went on sale for the first time. Ahead of Brexit uncertainty, Dairy Crest has accelerated purchase of ingredients and packaging materials to avoid exposure. However, the outlook for the full year remains in line with the company’s expectations. 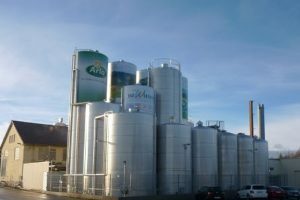 Mark Allen, chief executive of Dairy Crest, said: “Our key brands have delivered exceptional performance in the third quarter with all four generating both volume and revenue growth. Demand for our functional ingredients is also increasing, with positive implications for price.